Sprayable, use with film adhesive AF-30 where good aluminum and magnesium overlap shear strengths from minus 67 to 180 Degrees F are required. 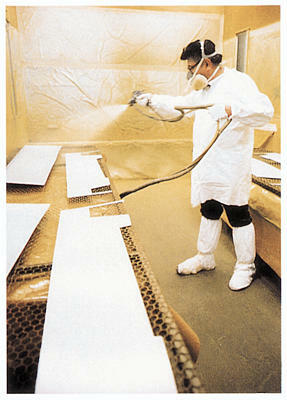 Insures complete wetting of film adhesive to the adherend surfaces. Simplified production schedule.